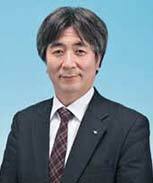 Kobe Steel, Ltd., “KOBELCO” , Welding Business maintains solid position as No.1 in Japan as well as in Asia, excluding in China. KOBELCO global reach comprises 4 production plants in Japan and 13 production and sales bases overseas, offering a comprehensive array of welding products and services. With our welding expertise, KOBELCO are offering “Welding Solution” packages which lead to resolve problems customers are facing, original welding process/systems fully integrated with welding materials, power sources, and robotics satisfying and benefiting customers. We will continuously strive to be “Welding Solution Company of Choice” and, as your best partner, the leading Welding Product Manufacture in the world, by creating excellent products and services in harmony with society and in compliance with customer and applicable statutory and regulatory requirements.